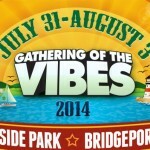 Like a flock of birds-of-a-feather returning home for the most special time of the year, the most colorful tribe returns brilliantly and boisterously to Seaside Park for the 20th Anniversary Celebration of The Gathering of the Vibes. As our anticipation built in line of other eager patrons, so did the looming storm clouds, getting closer by the minute. It was a race against the rain and adrenaline was sending us all into survival mode. As the very first raindrops hit the ground, I snapped on the last snap of my rain fly on my tent. Perfect timing. 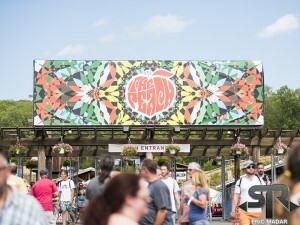 The Gathering of the Vibes began with a thunderous boom (literally). Throughout racing to secure the site and demonstrating the epitome of teamwork making dreams work, my group became fast friends with everyone within earshot. We had neighbors from near and far gathered and all attempting to toss a rope up the light post in order to post our Rainbow Phoenix kite marker. The task became the best game ever, all while roaring like pirates and cheersing craft beer cans. Let loose, get weird with your friends and you’re sure to have a good time. Nothing was standing in our way of fun. The rain was a challenge we overcame together and it only made us closer. The forecast predicted hot, clear days for the weekend ahead, and for the first time, they were right. 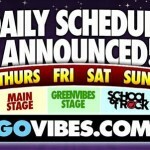 Thursday night of Vibes featured the much anticipated, annual and incredible set by Dark Star Orchestra. 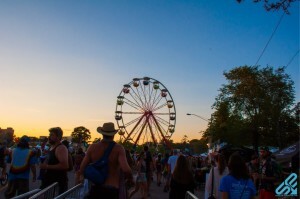 In the 50th Year Celebration of The Grateful Dead, the DSO sets are some of the most treasured from the weekend. The first set opened with “Help on the Way.” The band then went into “Franklin’s Tower,” followed by “Jack Straw” and into “Mississippi Half Step.” The band played one of my personal favorites, “Blow Away,” followed by the Noah Lewis cover “New Minglewood Blues.” The set closed with “Peggy-O,” followed by the Little Milton cover, “That’s What Love Will Make You Do.” The set flowed perfectly and was filled with well-executed jams and true Dead spirit. The second set opened with “Scarlet Begonias,” into “Fire on the Mountain.” This was a great way to start the second set and immediately pump the life back into us after the break. Next, Dark Star went into “Touch Me,” followed by another personal favorite – “Women Are Smarter” (THAT’S RIGHT!). “Eyes of the World” followed blissfully, while then transitioning into a very psychedelic Drums>Space. They then went into “The Lucky Old Song” to close the set. The band was so fired up from the response their performance received, that they encored twice with Bob Dylan covers – “Tangled up in Blue” and “Forever Young.” DSO put on another truly incredible performance at the 20th Anniversary Vibes. They did not hold back at all and the positive energy was contagious. Karl Denson dominated the late night stage with his Tiny Universe. Before the funky throw-down, Denson himself took some time to talk with Sensible Reason while he warmed up. His years of touring and playing with multitudes of incredible artists gives him that suave, easy personality that translates so magically through his instruments. His lighter side melodically flowing from his flute, and the saxophone flaunts his boisterously funky side. He resembles a fantastic whirlwind as he breezes to the stage and then off to the next fest. Friday, Vibes began with a real bang as Twiddle kicked off the day at the Main Stage. Twiddle is quickly becoming extremely popular among the jam band scene and for good reason. Their performance was excellent and had some really satisfying jams. The set electrified the audience as everyone’s energy levels became supercharged in a quick Twiddle minute. With hints of bluegrass, solid rock and overwhelmingly smooth lyrics, the quartet Vermont band is redefining the limits of the jam world. Things only heated up literally and figuratively on Friday as the day progressed. It was so extremely hot and sunny this weekend that people had to really take care of each other, and we did. The String Cheese set with David Grisman and Peter Rowan was nothing short of historic and extremely deep and emotional. Although I am 23 years old and this was before my time, the energy in the air was so potent as the band played songs from “ old and in the way” with minimal drumming from Jason Hann and an amazing amount of talent and care put into their jamming. Every not was so well thought out and the amount of respect and camaraderie on the stage was echoed throughout the audience. I have never seen a performance quite like that but I do know I was seeing something that I will never see again in my entire life. 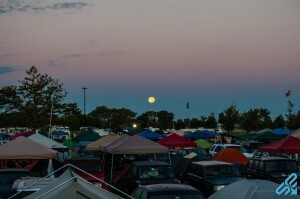 The combination of Jerry Garcia’s birthday on the following morning, the full moon, the people there and everything else going on just added to the beauty of the music that was being played. David Grisman played mandolin with Jerry Garcia and performed the entire first set with Cheese on Friday night along with Peter Rowan on guitar who helped form “Old and in the Way”. All the music performed was from the self-titled album “Old And In the Way”. The album was one of the highest selling bluegrass albums of all time; David Grisman, Jerry Garcia, and Peter Rowan formed the group and there was no better way to celebrate the birthday of Jerry Garcia than with his music. The String Cheese Incident were the perfect band for Grisman to front as they played the tunes with humble intricacy, making sure to hit every note precisely, while letting Grisman, Rowan, and the spirit of Garcia take the reigns for the songs. The amount of care taken in playing that set was so inspiring it’s hard to put into words. The set went a little something like this- “Pig In A Pen,” “High Lonesome Sound,” “Panama Red,” “Old & In The Way,” “Lonesome Fiddle Blues1,” “Catfish John,” “Wild Horses,” “Eat My Dust, Land of the Navajo,” “Midnight Moonlight1,” “Ripple.” The intricacy and care put into the performances was incredible. I have never seen anything like it and I am so grateful to have been there. The Dynamic on stage was so natural and flowed so beautifully I just have never seen anything like it, it was as close to perfection as there is at any musical performance, especially on stringed instruments. 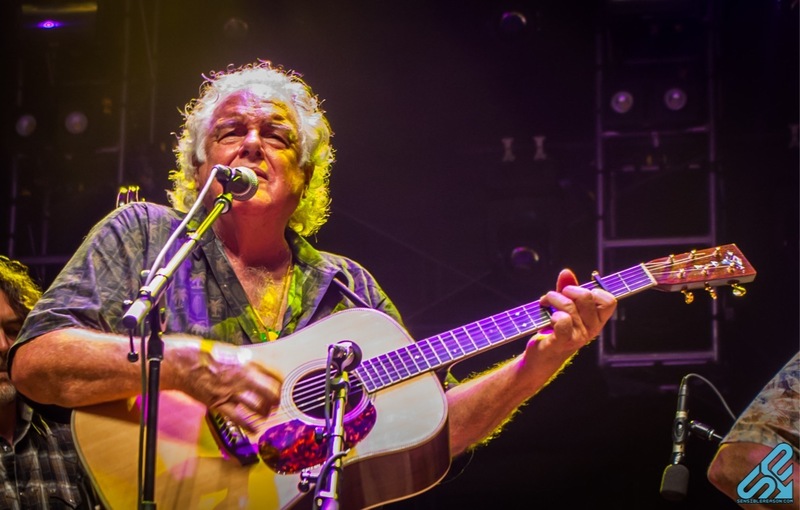 The Band was also accompanied and mostly fronted by Guitarist Peter Rowan for the entire first set. Rowan did some awesome Yodels he’s know for. 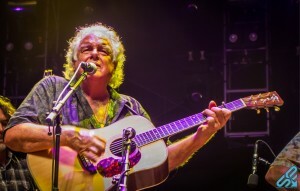 He composed songs performed by New Riders of the Purple Sage, including “Panama Red,” “MidnightMoonlight” and “Lonesome L.A. Cowboy,” which the String Cheese Incident performed with him that night. The first set, the stage consisted of musical homage and history, humility and respect for the innovators of some of the music we love so much and care so deeply for. String Cheese’s second set was another story as the band comfortably eased us into the later hours of the evening with more electronic tunes. Cheese tastefully flowed from a nearly all acoustic set to an incredible electronic dance party without any sort of awkward type of feeling the flow was so comfortably executed I have never seen a band go from one spectrum to another with such ease and comfort. The first song of the set was Desert Dawn into Dudley’s Kitchen. The songs transitioned perfectly and were great ways to start the set and ease everyone into what was going to be an epic throw down. The band then performed “Colliding” and “Rhythm of the Road” as stand alones, followed by “Stop Drop and Roll,” “Sweet Spot” and “Bumpin’ Reel,” all of which were stand-alones as well but were lengthy jam heavy songs, with some heavy electronic incorporation. “Bumpin’ Reel” never ceases to get people’s feet moving and just maintain a beautiful electronic musical environment accompanied by Kang’s tasteful violin, no otther band can really combine the electronic vibe with the bluegrass vibe so well. The String Cheese Incident does a great job at embodying a successful musical gathering of vibes. The band ended the set with “Round the Wheel” and a truly incredible “Desert Dawn” that was nothing short of memorable. The encore to their final set was “Restless Wind.” The String Cheese Incident performance during set one and two were nothing short of incredible, the precision and intricacy as well as the flow of this band is unmatched and they did an amazing job at backing Peter Rowan and David Grisman for “Old and In the Way.” It was an extremely historic event in the history of bluegrass music and an ideal way to celebrate the birth and life of Jerry Garcia. Friday late night consisted of an incredible performance from Electron consisting of a full Pink Floyd set. The show was extremely psychedelic and was strongly accompanied by one of the guitarists from the Roger Waters Band who was brought to Vibes specifically for this special performance. The set was filled with favorite PF tunes: “Fearless,” “Have a Cigar,” “Wish You Were Here,” “Echoes,” “Hey You,” “In the Flesh.” The set was extremely solid, yet spacious. Electron’s majestic lift-off brought the music above just a cover set. It was almost as if Pink Floyd was right there on stage playing for Jerry and all those vibing out there. Electron closed the set with a memorable and fun “Comfortably Numb” that left fans hoping for one more song. This set was truly special and the incredible execution of such beautiful songs was the ideal topper to Friday’s perfection. The Vibes team pulled out all the stops and with no hesitations presented their family with the greatest gift of collaborations in music. From Warren Haynes leading the Seaside Allstars and playing a few of my favorites – “Sneakin’ Sally Through the Alley” and Radiohead’s “Karma Police,” to sitting in with Wilco with Joe Russo. From performing a set with Railroad Earth, to Derek Trucks sitting in with Gregg Allman during “Southbound” – the collaborations were everywhere. Krasno of Lettuce was consistently coming up and making appearances with different headliners, and even playing with Billy and the Kids. So many of these collaborations were top notch it’s hard to do them justice when it comes to putting them into words, but I can safely say I have never seen collaborations of this magnitude before and the camaraderie among musicians was just so beautiful and inspiring. The vibe shared on stage certainly echoed throughout the festival. The rest of the weekend quickly slipped away from us like last nights glow sticks into the rising tide of Long Island Sound. Everyone was filled with nothing but pure joy, friendship and the most uplifting music imaginable. Saturday’s highlights and my personal favorites included Kung Fu, Deep Banana Blackout, Moon Hooch, Billy & the Kids, Warren Haynes with Railroad Earth and again later with the Seaside All-Stars, with some Turkuaz in between. Late night funk rang true with Lettuce and The Nth Power. Sunday was a sleepy, silly day and by the time we willed our poor weak legs to peddle our exhausted shells of ourselves to the music, we made it just in time for Weezer, Cabinet, John Brown’s Body, and Ben Harper and the Innocent Criminals. The entire tribe was in awe of every performance and the overall beauty of the environment we call home every summer. The amount of care and genuine happiness people had for one another was amazing to witness. At the check-in there was a simple, honest sign that said, ” Everyone is Special” and that rang true throughout the weekend. Every person I Vibe’d with was truly unique and helped create the most special weekend. All previous years were exceeded and all expectations were surpassed. Gathering of the Vibes is without a doubt one of the most pleasant festival experiences you can have. Nestled along the Long Island Sound, the flat terrain and scenic shoreline provide an easy going and photogenic experience that is not soon forgotten. Purposefully occurring on the birthday of the great Jerry Garcia, the festival encapsulates all the live music since that the Grateful Dead have bequeathed to us has to offer. The mind boggling 20th Anniversary Edition lived up to this high caliber standard that the festival has become known for. Warren Haynes and the Seaside All-Stars was an amazing one of a time experience that unquestionably lived up to the hype surrounding the much anticipated experience. As a lover of Gov’t Mule but not the biggest fan of The Warren Haynes Band, I personally was uncertain about what to expect. But an unbelievable night of music put my tentativeness to rest with two sets of heart stopping here rock jam action. 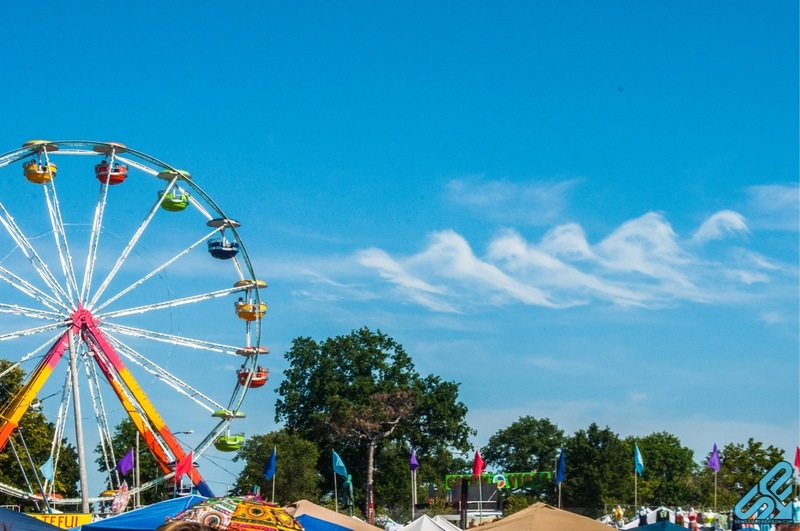 The environment at Vibes is unique in its family-friendly atmosphere while still providing adults the appropriate latitude to engage in the full festival experience. It’s is not just the music that enhances the experience but meticulously curated vendors, food and beverages laid out in a painstakingly optimal fashion is not lost on the seasoned veteran. The only thing I wish of Gathering of the Vibes is that it occurred more frequently. Sensible Reason had an amazing time at the 20th Annual Gathering of the Vibes. Be sure to tag yourslef and your friends! Photos brought to you by Proper Perceptions. Mysteryland Friday Lineup, a Holy Ground Exclusive!